The “Oktan LLC Company” renders a complete complex of services in agency service, coordination of loading and unloading of different types of vessel in Far Easts ports of Russia. These activities are the second of principal a type of service which our company provides to owners and charterers of the courts bringing loads to Far Easts ports of Russia. attending of crews, armoring of tickets, hotels; a meeting at the airport. Long-term experience of ship agents in ports of Primorsky Krai allows our company to realize professional and operational service of our clients. Fast registration by the port authorities on arrival and withdrawal of courts of oversea and domestic swimming. Operational provision of information on an approach date and time. Provision of information on the arrival purpose, name and quantity of a load. We provide interaction with the authorities, customs service, representatives of frontier service, with health control, pilots and administration of port. Customs design of ship inventories their addition and supply of the vessel with all necessary. 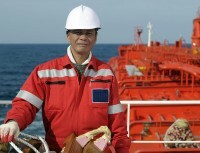 Our agents in details know the device as tankers and cargo terminals, have long-term experience and rich knowledge, together with coastal personnel resolve all arising issues on the fastest processing of courts, on settlement of disagreements for reduction of unproductive idle times (offhiers). Survey of the vessel in a freight (time-charter), when delivery and at an re-delivery from her. Ensuring interaction with the stividorsky companies. Preparation of the Railway rolling stock. Employment of warehouse and loaders. Safety at statement of the vessel to the mooring. Expeditious processing of the vessel. At damage of freight or the vessel, the qualified surveyor inspection is performed and repair work is in case of need provided. And also protection of interests of the shipowner. Search of repair base, coordination of all necessary documents on indemnification. Survey of damage of the vessel, his parts and mechanisms. Delivery and supply with necessary mechanisms and materials for carrying out high-quality repair. We cooperate with many large companies in is repair – the drying sphere of sea vessels. Accommodation of crew ashore, catering services, accommodation and rest. Delivery of health care to crew members. The help in arrival and departure of the crew members, assistance to crew members who have remained on the bank of persons in need in medical care according to instructions of the Customer.